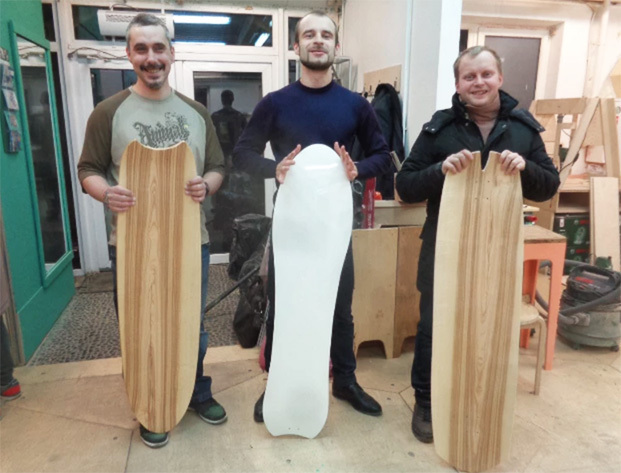 Based in Russia and very familiar with laminating skateboards using Roarockit technology, three friends from SVOI DOSKI team (Max Alekhin, Dmitry Filchakov and Alex Pushkarev) have worked closely with FlyWood to develop natural designs and build different styles of powdersurf boards for riding fresh snow. We asked Max to tell us about the project he founded with his friends around this emerging and exciting movement. So Max, what is your project "Svoi Doski" all about? 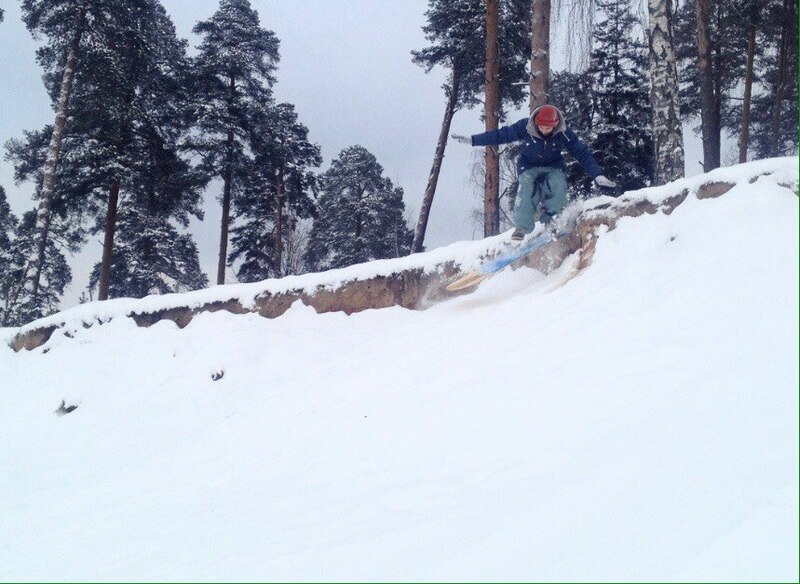 We are developing powdersurfing and boardcrafting culture in Russia, using your incredible Roarockit technology democratizing the production process and making it more fun! We have recently filmed an introduction video to the whole making process together with Denis from FlyWood team and it would be a great pleasure and honor for us to share it with the community. Cool video Max! What is the philosophy behind this project? 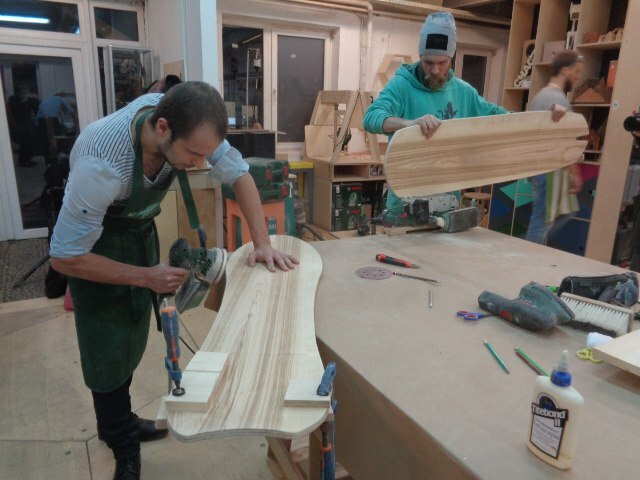 SVOI DOSKI is a community of like-minded enthusiastic people, united by the idea of making powdersurfing boards from natural wood to enjoy fresh snow riding. 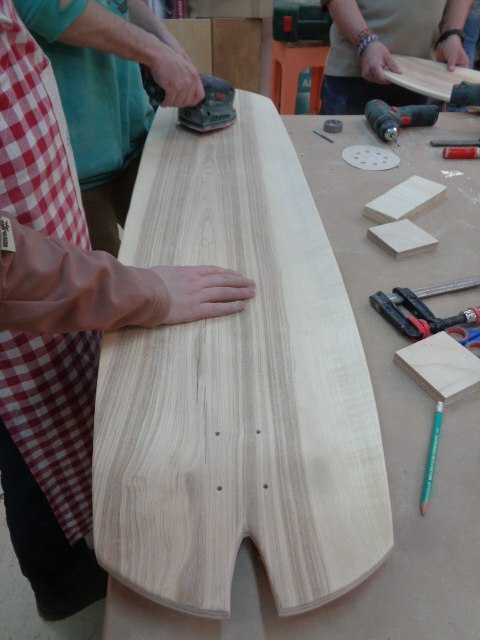 Crafting their own powdersurfs, riders all over the world involve soul and passion drawing inspiration from nature in creation of artworks from natural wood, implementing their fantasy and vision in the variety of shapes ‑ each of them gives its own perception, revealing the character of a board and a man. 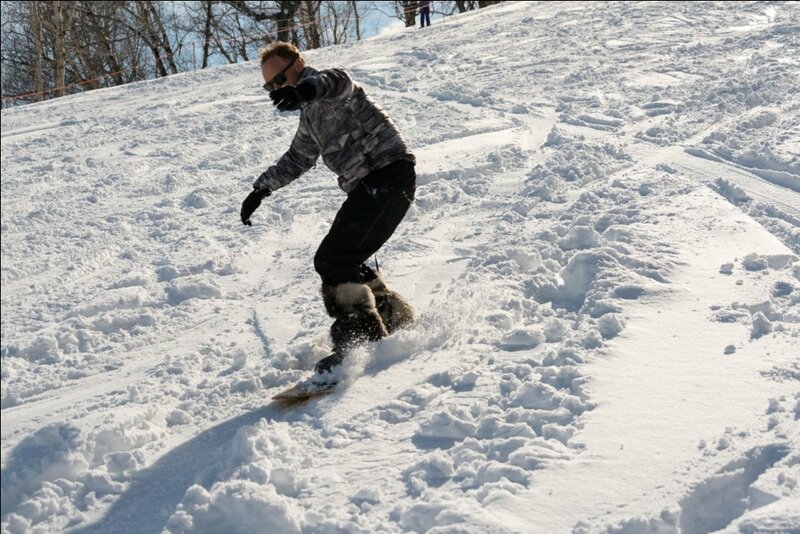 To convey the pleasure and joy of riding fresh snow with friends we gave our boards a new Russian name ‑ Struvo! What does that name "Struvo" mean in the context of powdersurfs? We decided to have a totally new native Russian word (Struvo) to call our powdersurfs, it is the name of our boards and it doesn't mean anything else. In Japan there is also a special native word to call powdersurfs - riders call them "Yukiita"
ok Max, we'll go with that! From these pics it looks like you've had some good times in some nice powder conditions! How do the boards perform? 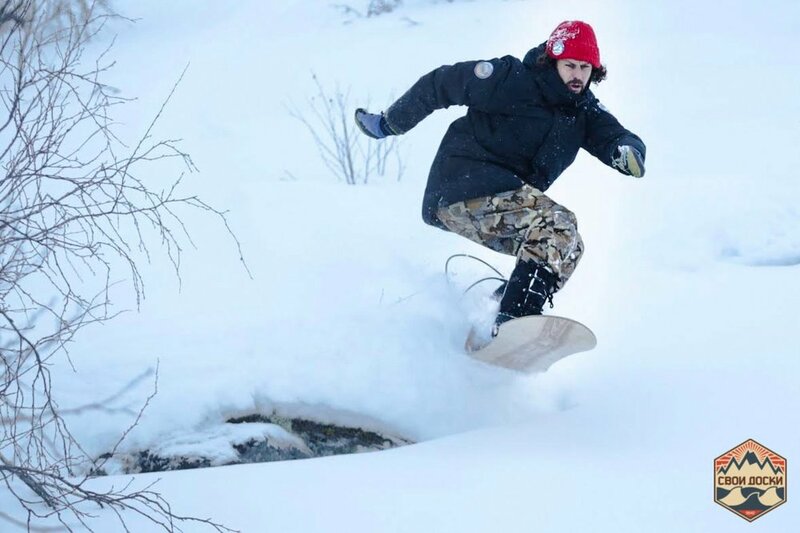 Yes we had tests of our boards in fresh snow performed by riders in Northern part of Russia, Kamchatka, and Moscow region and made some improvements of first prototypes based on their feedback. Now we have structure and sandwich of the blank determined and have three basic shapes specially designed to ride fresh snow. There are some variations of using special materials for using under boots not to be slippy.? Well thanks to you and all SVOI DOSKI team and to Denis at FlyWood for making this new kind of workshop using RoarockIt possible and sharing the building process with the community! 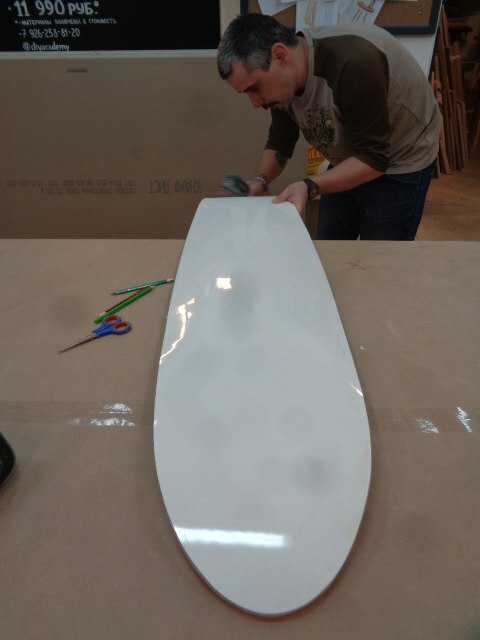 We hope the company expands and enables many new people to get out and enjoy the freedom of surfing fresh snow on a custom powdersurf board as well as fun of shaping and building it! SVOI DOSKI team want to say special thanks to all the people who helped to make it possible, Maxim Balakhovskiy (HeliPro) and Konstantin Kokorev (Surf Siberia) for the courage of testing the first prototypes in real snow conditions, Anna Varskaya (Pila Studio) for filming and editing the video.